Identical twin sisters married to identical twin brothers now plan to have synchronized pregnancies and raise their families together. Josh and Jeremy Salyers, 35, met Brittany and Briana Deane, 33, at the festival of twins in Ohio in August 2017 and fell in love. They soon married in what they call a “double fairytale” and now hope to have children together, reported the New York Post. The couples said they want to have twins, they want them to be born on the same day, and they want them to be raised together. “I know that’s four babies,” Briana’s husband Jeremy said, according to the New York Post. The couples were told by a wedding preparation program that children born to them will be closer in looks than typical cousins. “Because genetically, if you think about it, it’s like mind-blowing. Our children will be genetic siblings, ”Brittany said. She was excited that their children will be siblings since they will inherit the same DNA that they share as twins. The twin sisters went to school together and now work at the same law firm as attorneys. Since they have shared everything in life with each other and have always been together, they also wanted to be pregnant at the same time. “If she [Brittany] was pregnant I would prefer being pregnant too. Being pregnant at different times would be difficult especially with the physical changes that happen,” Briana said. “So if I was pregnant and Brittany wasn’t, I imagine I would look very different… That would be so hard. We’d be different weights, we would look different, our bodies would be experiencing different things,” she said. 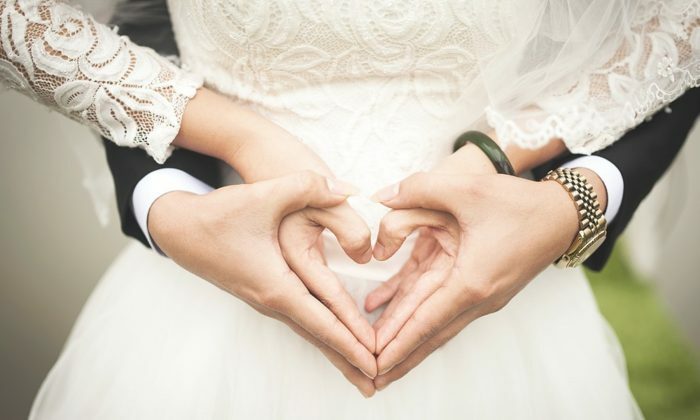 The couple’s parents are supportive of their romances and marriage and marveled at how life will be for the couples when they have children. Brittany and Briana’s mom, Debra Deane, wondered how life will be for the couples if they have only one child. “How will discipline work? Recognizing mom versus aunt and dad versus uncle. It’ll be interesting that phase,” she said. The twin sisters said that when they have children they will consider themselves as mothers to all the children. “I’m going to feel like I’m also the mother of Brittany’s children and she’ll feel like she’s also the mother of my children,” Briana said. Josh said that the twin brothers had thought early in life that if they don’t find twin sisters they would not marry. “It’s just a bond and understanding that you couldn’t find anywhere else,” he said. Briana described Josh and Jeremy as twin princes and gushed about their fairytale ending. “We [feel] really lucky that we found them. To find the woman of your dreams and she has a twin sister for my twin brother,” Josh said. Having spent nine months together in their mother’s womb, twins often share an incredibly close and special bond. Identical twin sisters Jalynne April Crawford and Janelle Ann Leopoldo are no exception. Growing up, Crawford and Leopoldo were inseparable. The twins both loved doing the same thing together, even though they have different personalities. “We dressed alike every day, shared a car and cell phone, had the same friends … we were glued to each other’s hip,” Crawford recalled. This has been the most special experience!!! 10 day checkups went well! Babies continue to grow and our love for them does as well!!!! @janelleleopoldo ????‍♀️???????????????????????? In high school, Crawford even dreamed about living near each other “with our houses connected by a bridge,” and having babies together. “Growing up, my twin sister and I talked about how neat it would be to get married together and have babies together,” Leopoldo told Good Morning America. In 2017, the twin sisters’ dream came true when they found out they were both pregnant in the same gestational period. Yesterday was a dream come true! @janelleleopoldo have always wanted to pregnant together and it happened! My Dr. was so amazing to take us both as patients and deliver us same-day! This was one of the best experiences of my life! Bryson and Jace will have a special bond and always share their birthday! Thankful for my parents/ brother and his wife for holding the fort down and other 3 littles! A special thank you to our dear friend @strimuffery for saving a leotard my sister made and turning it into special Bears for our boys! ??????? ?These bears will hold a special place in our hearts!!! ???? The news was the rainbow after the storm, because previously, they had both suffered from miscarriages, and Leopoldo had struggled with infertility and was also diagnosed with polycystic ovarian syndrome—a disorder of chronically abnormal ovarian function and hyperandrogenism (abnormally elevated androgen levels)—and also had an ectopic pregnancy. Epoch Times reporter Li Yen contributed to this report.